The 2014 NCAA women’s basketball tournament will begin on March 22nd. You can follow all the tournament action with the NCAA womens basketball bracket. The NCAA womens basketball bracket can be downloaded instantly and printed for free right off this page. While you’re here, don’t forget to also grab a copy of the men’s March Madness bracket. Both sheets are available at no charge courtesy of PrintableBrackets.net. While pre-dated by the men’s tournament by many years, the women’s tournament came to be during the 1981-82 season. A total of 32 teams were penciled into the first NCAA womens basketball bracket. Louisiana Tech, Tennessee, Cheyney and Maryland were the first schools to reach the women’s Final Four. Louisiana Tech knocked off Cheyeny, 76-62, in the first national championship game. Since the tournament’s inception, Tennessee has appeared in the Final Four an astounding 18 times. Entering 2014, the Vols have captured eight national championships and finished second five other times. UConn has also collected eight national titles, the last of which came in 2013. The Huskies hammered Louisville to capture their third title in five years. Entering the 2014 NCAA womens basketball bracket, UConn has appeared in the Final Four 14 times. Meanwhile, Stanford has reached the Final Four 11 times, but has only taken home the national title twice. Louisiana Tech and USC also have two national championships apiece. A total of 16 different venues will host first and second round games in the 2014 NCAA womens basketball bracket. Host schools for the opening rounds include Duke, Maryland, North Carolina, Iowa, Iowa State, Kentucky, UConn and UCLA. Stanford, Louisville, Notre Dame and Nebraska will be the host sites for the regionals. 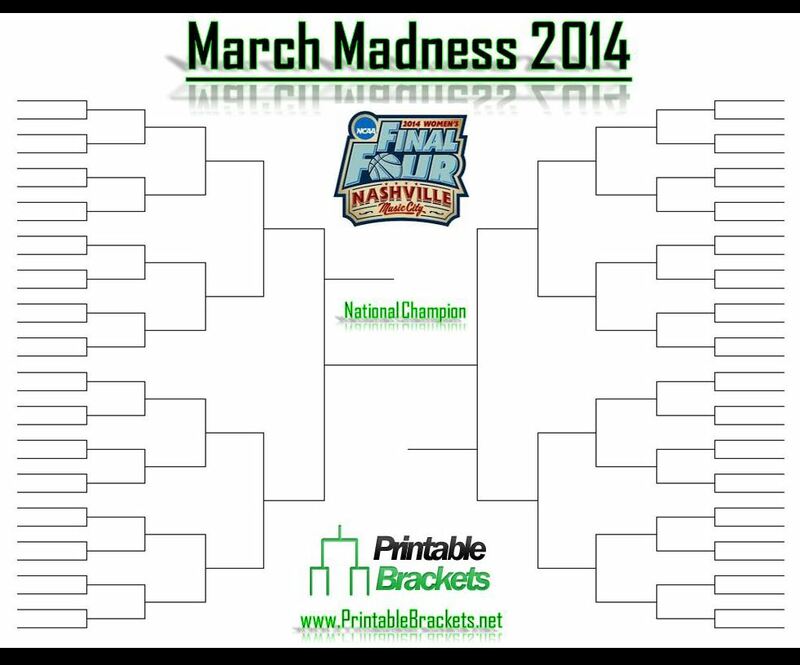 The Final Four will begin in Nashville, Tennessee at Bridgestone Arena beginning on April 6. The national championship game will be held on April 8th.